I’ve been trialling this moisturiser out for a few weeks now so now feel well placed to offer an opinion on it, but first lets have a look at what the product is for and who it’s aimed at. Ok so the new Youthopia Lift cream comes in two variants, there’s the Youthtopia Lift Firming Cream and the Ultra-rich Firming Cream. Really, the aims of the product are spelled out in the product names. The idea being to re-contour, re-define, lift and firm your skin whilst moisturising, adding volume, smoothness and “plumpness” with the end result of an all over younger, radiant looking skin. Extracted from the root of a tree indigenous to India, commonly known as guggul, works to help volumize and re-densify skin’s appearance. Ok so firstly, let me say that I was sent the Ultra-Rich formula and in the hot weather we had recently this was far too rich for me so I think in winter this is going to be great for me, whereas in the warmer weather I think the normal formula would suit me better. That said, my experiences with this have been great. Firstly it smells beautiful. Secondly, whilst nice and rich this still absorbs well. For me I have to say I did notice an instant effect, I say instant, I mean overnight. This is one of those products where you apply it at night (as this is the ultra-rich formula I’ve kept it for night use), when you wake in the morning you can see and feel your skin is plumper. So I find that my skin does look younger because it’s plumper, meaning the fine lines are less obvious. I have tried a couple of other products that work this well in the past but this is great. I will definitely think about switching to the Youthtopia Lift Firming cream, but it won’t be for a while as I have some more products to trial. All in all, I can say that I’ve not seen massive changes to my skin but however I do see changes, positive changes and I see them very quickly. Over night, literally, my skin looks plumper and healthier and really thats pretty amazing when you think about it. I would expect, given my experience with this product and all other Origins products, that over a continued period of time and using twice a day you would see a marked improvement. 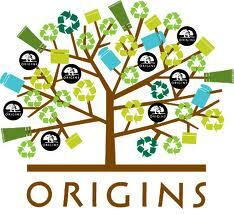 There are two phenomenal things Origins are going to be doing for Earth Month in April which I wanted to share with you. Both are excellent but one is amazing! First up, the Global ReLeaf Campaign. For every product purchased within the A Perfect World range between 15th and 28th April Origins will plant a tree on the customers behalf. Working together with Global Releaf trees will be planned to help restore areas damaged by wildfire. Brilliant. And then Earth Month Trade-in Day is 21st April 2012. Start using up your skincare products now. On the 21st of April you can take and empty skincare product from any brand into your nearest Origins counter and get a FREE FULL SIZE tube of either Starting Over Age-erasing moisturiser (RRP £36) or A Perfect World SPF25 Age-Defense Moisturiser (RRP £32). How amazing is that! This will be available on a first come first served basis and there are 5000 available nationwide so get using your products up and get to the counter early in the day! Today I’m looking at the Christmas gift offerings from Origins and Ojon. Starting with Origins. There’s a great selection of gifts catering for most people’s tastes, and a variety of prices, ranging from skin care to bath and body products. There are two Harrods Exclusive candles which both look gorgeous, in De-Stress and Relaxing at £22 each but top of my wish list is any of the Ginger Gifts. Origins Ginger is a new discovery for me and is my new favourite thing! The ginger scent is just beautiful, it’s Ginger, Lemon, Lime and Bergamot and it’s both warming and uplifting, absolutely gorgeous. I have the Ginger Burst Savory Body Wash and the beautiful Incredible Spreadable Ginger Scrub. Both of which are divine and I’m keen to add to my Ginger stash. and so I’ve got my eyes on the Ginger Treats Set (£29). This lovely set includes the Ginger Souffle Whipped Body Cream, the Incredible Spreadable Scrub and the Ginger Float Cream Bubble Bath. I’m also going to put the Ginger Ways kit (£35) on my list as that contains the Body Wash, Souffle body cream and the skin scent. Lovely! Then there’s the seasonal offerings from Ojon. I’ve fallen in love with the Colour Sustain range and so teh Color Sustain Christmas Set is top of my hair wishlist at £15. Containing 60mls of the shampoo and 60mls of the condition along with 50ml of the Restorative Hair Treatment this is a must have for me. Beautiful products that help to protect my colour and leave my hair soft and shiny. Also I’m wondering who I can buy some of the Damage Reverse Instant Restorative Hair Serum for as I love this too. I have about 5 different hair oils/serums on the go at the moment but this is probably my favourite..
Also loving the look of the Winter Rescue Hair Kit, containing a bottle of the Hair Serum (50ml) along with a 60ml bottle of Reverse Restorative Shampoo and Damage Reverse Restorative conditioner, £22. So those are my top picks from Origins and Ojon this Christmas, beautiful products I’d be delighted to receive! In my quest for better skin and with my new love of all things Origins, it was time to find myself a new cleanser. I knew, thanks to Caroline Hirons, that I needed a non-foaming cleanser and I’ve wanted to try a cleansing oil for a long time now So this seemed the natural choice. I bought this to accompany the rest of my skin care regime and I’m really pleased I did as I love it. This bright yellow oil, smells gorgeous and contains Sunflower, Sesame and Safflower oils. It dissolves every last scrap of my make up and leaves my skin soft and clean with no harsh foaming agents. This is suitable for all skin types as it’s not at all heavy and doesn’t leave any trace of oil on the skin after use. To use, you just massage in to the skin, then add a splash of warm water to transform the oil into a milky lotion, and rinse away, although I wipe away with a clean muslin each time. Lovely stuff. I do have one gripe though, the bottle needs a pump. It’s just a screw top lid and you have to pour some out into your hands. If I don’t lose some straight down the plug hole then it drips all down the sides of the bottle, its not a great design for the product. That aside it was £17 well spent. EDIT: I have since been informed that you can buy a separate pump for £1. Which I now have and its fab, I now have no negative comments to make about this product. 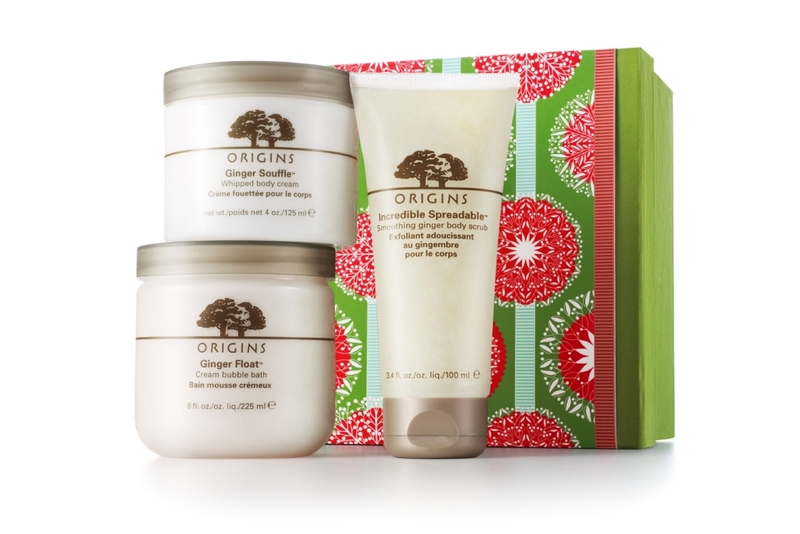 So another of my Origins products in line with my recent skin care overhaul. This is the new Plantscription Anti-aging eye treatment. I can’t be without an eyecream and this is the latest addition to the Origins range following on from their highly successful Planscriptions serum. I have a lot of fine lines under my eyes, fortunately for the most part they are all very fine, but there are a lot of them so I like products that will plump them and ideally work on getting rid of them! So Plantscription Anti-aging treatment promises to diminish the appearance of crow’s feet, reduce under eye cross hatching, smooth the appearance of crepey lids and lift and firm the appearance of saggy eye skin. You dab the gel formula on day and night. Yeah I do, I’ve noticed a real improvement and I do intend to keep using it. It’s light and extremely quickly absorbed and I do feel that it works to keep the skin around my eyes looking plump and relatively line free. This is one of those products that I don’t have much to say about. Which is a good thing in this case. It smells nice, it does the job, it’s quickly absorbed and so I recommend it! The only down side is the price, which is a hefty £35. It feels a bit odd to be doing such a short review about a product when normally I go on and on about things, but it’s a nice product, does what it says on the tin and that’s that! As part of my second skincare overhaul (! ), this time using mostly Origins products. I’ve got to say so far I’m absolutely loving everything so far. I’m battling my hormones at the time of writing and I don’t think I’m ever going to be free of these spots, I’ve also been dealing with some stress that I think has increased my bad skin, but whilst I’m a bit spotty, overall my skin is positively glowing. So as well as the Origins Night-A-Mins cream I’ve previously mentioned, I’m also using this, Origins Modern Friction “Nature’s Gentle Dermabrasion”. Rice starch in a a cream for exfoliation, lemon oil for illumination, vitamin C. Take a little product (and a little goes a long way), massage in small circles all over your dry face. Add a little warm water to loosen and it turns milky, then remove using warm water and I like to use a muslin. Just wow. My skin is still a little bumpy, but I’ve only used it maybe six times and I’m optimistic, my skin glows after using this. I use it twice a week and the effects seem to be lasting between uses. It is lightly scented, nothing offensive. Spots don’t get angry after use, it doesn’t make my skin red, my skin feels so incredibly clean after using, but without that squeaky feel which I really don’t like. It feels scrubby and it feels like it’s really working but it doesn’t feel harsh, perfection. And it leaves my skin feeling like silk apart from the tiny bumps I’m still trying to shift but I wouldn’t be surprised if in a few weeks they’ve gone too. We shall see. So that’s all I really have to say, its lovely, it does what it says it will and it gives immediate results. It’s not a cheap product but I can’t see me being without this ever again. It’s £30 for 125ml which I think is going to last a really good amount of time. Just before I go, here’s a close up of the texture, just in case you were wondering. So you all know by now that I’m working really hard on finding a solution to my skin care issues! The first product I found I really loved was the Aromatherapy Associates Overnight Repair Mask which you can use once or twice a week, but the second item I’ve found that I really love is this. Origins High Potency Night-A-Mins Mineral-enriched renewal cream. Bit of a mouthful. In short, a night cream with time released resurfacers plus vitamins C, E and H, minerals and plenty of moisturising “stuff”. The product is apparently perfect for bringing all over radiance and softness (much needed) to the the over thirties (alas, thats me) and for combination/dry skin (also me, spots and dryness, lovely). So what you get is a 50ml pot for your £32 of gorgeously scented cream. The cream itself looks like it might be heavy which isn’t unusual in a night cream, but isn’t really and is surprisingly quickly absorbed. You might recall when I did an update on my skin recently I talked about having found an amazing product, well this is it. On the basis of this one pot of wonderous cream I have totally switched over to Origins now for all my skincare, time will tell if this works out for me or not! I’m going to try not to be too wordy so in short, I wake up moisturised, with plump skin and a glow I’ve not really experienced. It is actually on a par with the gorgeous Aromatherapy Associates Overnight Repair Mask, except I can use this daily, and I do. I don’t think I’ll be without it again. I know I’ve spent more time introducing the product than I have reviewing it, but really, what more can I say, plump radiant skin every morning? Total win. Origins Brighter By Nature Powder Foundation is just what I was looking for. A powder foundation for lazy days that gives good coverage without looking powdery and containing a good SPF of 30. It comes in a large range of colours catering for the “very light” up to “deep” skins and covering cool, neutral and warm tones. Which is perfect. It makes it easier to find a shade when you can choose your skin tone. The closest match for me is Light Cool, I did try Very Light Cool, but it was too pale for me. This stuff is fab, rather than just keeping it for lazy days I’ve been reaching for it very often. It evens out my skin tone nicely, gives a good but not heavy coverage, protects me from the sun’s harmful rays and lasts ages too. All without looking in the slightest bit cakey or powdery. What a product! I highly recommend checking this out at your local Origins counter. I’ll definitely be buying when this is finished. On that subject, I’m used to compact foundations being used up all to rapidly, so far this barely looks used despite my regular use. In these winter months our skin needs a little bit of extra help to keep it soft and radiant and to stave off the dullness and dry patches. Origins have it covered. They make a wealth of body and face skincare products designed to tackle all levels of care and this post is just a little peek at a few of the options available. Gloriously grapefruity and super creamy and lathery. Just beautiful and uplifting and definitely helps to banish the winter blues! This is really beautiful. Extremely rich and very lathery, the smallest bit goes a very long way. It smells fruity at first but there’s real tang of something which I assume is the tea, it’s really luxurious and incredibly moisturising. £20 for 200ml. Oh good lord this stuff is immense, Very very rich. Full of super moisturising ingredients like shea butter, cocoa butter, sunflower, soybean oil, ginseng oils, aloe, murumuru butter, mango butter ad a fair few more. It’s so great I’ve been using it on my daughter’s eczema (although very definitely not on open wounds) and I’ve been using it on my dry calves like it is going out of fashion. The smell is also out of this world again, its grapefruit based. £26 for 200ml but a little goes a very long way. At this point I must give an honourable mention to the Origins All-purpose High-elevation Cream I reviewed it HERE and it still can’t be beaten for elbows and extra stubborn dry patches. Well, my first thoughts on this were that it wasn’t scrubby enough for me, but then I do like my scubs to be at the more brutal end of the spectrum. However, this is a daily product, or at least, thats how I’ve been using it, and perhaps brutal might be a bit much for daily use, but I also note, whilst referring to the details for this post, that for a more exfoliating effect you can leave it on your skin for a couple of minutes before washing off so I will definitely be trying that. It does a fantastic job of cleansing my skin and when I hop out of the shower my skin is clean and bright and fresh. It’s £23 for 125ml but again, as with all of these products, a little goes a long way, in fact the first time I used it, I used far far too much, I had to use about a 6th of what I’d put on my hand for future uses. So thats all the products Origins sent me, and they all have their merits, some more than others, but I’ve been having a good nosey around the Origins site and I see there are so many more products for winter skin, I’ve got my eye on every single Ginger thing on the site. If I’d have been more organised, some of them would have been on my Christmas list! Anyway, lovely quality products, and the moisturisers are especially recommended if your skin is very dry. I’m interested in exploring the brand further, so please if you have any Origins recommendations, let me know!